At the same time as IFSB was founded in Germany, so was the first CC club of Brazil. Its name was CXC – Clube de Xadrez por Correspondência (CC Club) and operated from 1932 till 1934. It was concentrated in Rio de Janeiro State, at that time the DC region of Brazil. The club first extended its activities to the states near the DC of Brazil but soon players from other states, mainly from the north and northeast of Brazil, joined the club. The CXC established contact with CCLA (in North America) for an international match and tried to organise the first Brazilian CC championship. This event was organised by the journal “Xadrez Brasileiro” (Brazilian Chess) edited by Francisco Agarez and started in 1934 with 235 players. The tournament ended in 1942, with the victory of Arnaldo Dalmiglio (Matão – SP) who defeated Acyr Marques (São Luis – MA) in the final game. The Brazilian CC tradition was continued in Rio de Janeiro, where a new organisation grew, the CEA – Círculo Enxadrístico da Amizade (Friendship Chess Circle) founded January 1st 1946. The CEA was a member of the ICCA and was present in the first Olympiad organised by ICCA. It operated until 1948. After a brief decline, the Brazilian CC, as an organisation, restarted in 1958 as the result of the initiative of Geraldo Brandão (Montes Claros – MG) who organised four championships, won by Oscar Rikli (Rio do Sul, SC); José Aristides Cunha (Coimbra, Portugal); Márcio Miranda (Belo Horizonte, MG), Benedito Camargo (Rio de Janeiro, RJ). This concentration of CC activities led to the foundation of LIBAXE – Liga Brasileira de Xadrez Epistolar (Brazilian Correspondence Chess League) in 1964. This organisation disappeared in 1969, a certain victim of a lack of organisation and dependence on one man. It was succeeded by CXEB – Clube de Xadrez Epistolar Brasileiro (Brazilian Epistolary Chess Club) a splinter from LIBAXE. 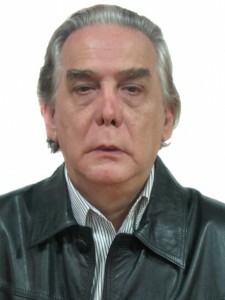 The demise of LIBAXE was certainly the main reason which drove a group of idealists –among whom were Alberto Witte, Helder Câmara, Antonio Carlos Sabóia Filho, José Rondon C. Vandri, Aydano Carneiro, Márcio Maques de Almeida, Luiz Fernando Cirello, Hideo Suzuki, Carlos J. Gross, Raul Ricci, Gratuliano Jaime Nunes Bibas, João de Deus Carvalho, Laurindo Pereira and Ubirajara de Oliveira Barroso- to found CXEB. The first Board was made up by Gratuliano Bibas as President; Alberto Witte as Vice-President; João D. Carvalho as 1° Secretary; José Rondon Vandri as 2° Secretary; Raul Ricci as 1° Treasurer; Ubirajara Barroso as 2° Treasurer; Carlos J. Gross as Internal Tournament Director, and José Rondon Vandri as International Tournament Director. This new CXEB organisation soon extended Brazilian CC activities throughout the whole country due to the abilities shown by all of its directory members, qualities which still remain. Gratuliano Bibas presided over CXEB for two terms, from 1969 until 1973, and was succeeded by the following Presidents: Ubirajara de Oliveira Barroso, from 1973 until 1991; Antonio Carlos Raposo, from 1991 until 1995; Milton Gonçalves Sanchez, from 1995 until 1996; and Pedro Luiz de Oliveira Costa Neto, from 1996 until 2000. In particular, we should mention the name of Mr. Ubirajara de Oliveira Barroso, who presided over the club for 18 years, being awarded with the ICCF Gold Medal due to his work in postal chess. In early years of the 1970s CXEB had almost 2,000 members, and in 1998 it still had almost 1,400 members but has suffered from reduction in the number of members, a familiar and well known process (a time of changes in the CC world). Now in 2002, presided over by José Joaquim de Amorim Neto, it has almost 800 members and hopes for a slow but clear recovery of growth due to email communication facilities and their application to correspondence chess. Today, CXEB is the fifth biggest CC club in the world, and although during the last few years the number of players has fallen for various reasons, it still reflects the good work and memorable decision of those who took it upon themselves to found it back in 1969. During its noteworthy history, the Club has organised, at national level, many Individual Brazilian Championships, the Taça Brasil (Brazilian Cup), the Brazilian Team Championship, the Brazilian Women Championship, countless Qualifying and Thematic tournaments, County, Youth and Veteran championships, and the “Dr. Aydano Carneiro” tournament, which contain the different levels of Club officials. There have already been 11 Individual Brazilian Champions: Henrique Pereira Maia Vinagre, Adaucto Wanderley de Nóbrega, Antonio Pacini, Gilberto Fraga Portilho, Orlando de Alcântara Soares, Marco Antônio Hazin Asfora, Hemar Antônio Galvão Barata, Antônio José C. Domingos Tavares, Gilson Luís Chrestani, Zélio Bernardino and Cralos Evanir Costa. The Taças Brasil, open to non-members and the second tournament in importance, have also had 12 winners: Adaucto Wanderley da Nóbrega, Célio Sormani, Mário Silas Biava, Salvador Homce de Cresce. Marco Antônio Hazin Asfora, Marco Polo Rios Simões, Gilson Luís Chrestani, Rolf Dieter Buckmann, João Maria Machado Filho, Ermano Soares de Sá, José Antonio Gonçalves and Carlos Evanir Costa. Notably, the value of CXEB was recognised by the Brazilian government, which honoured the CC with a stamp in 1980, which was designed by a CXEB player named Wilson Maria do Santos. Also, due to the development of an internet website since August 1997 (www.cxeb.org.br) and a great effort to support and develop cc in Brazil and South America (through special support to ICCF – Zone 2), CXEB was awarded with the title of “Friend of ICCF” for its website during the 2002 ICCF Congress at Daytona, Florida, USA. Full information of CC activities in Brazil can be found in the book “História do Xadrez Postal no Brasil” (The History of Postal Chess in Brazil) by Dieter Hans Bruno Kohl through CXEB office, São Paulo and also through the website www.cxeb.org.br.